Shooting firearms for many people is fun and exciting. They are used as tools for hunting, recreation, self defense and unfortunately in many cases, have been used in acts of violence. 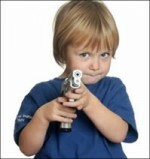 Firearms have also been involved in needless accidents leading to severe injuries and death, particularly among children. According to the American Crime Prevention Institute, mishandled and unsecured weapons are responsible for killing fifteen children under the age of nineteen every day and many more are injured. I enjoy shooting; I have since I was a young boy. It is a skill that takes patience, hand/eye coordination, timing, and most of all practice. It is also an activity that requires knowledge of the tools you use, in this case a firearm, and the ammunition you shoot. Like many dangerous tools, such as chain saws or axes, firearms must be treated with care, caution and respect. Recently, in the community in which I reside, a twelve-year-old boy was shot by his friend when they found the father’s firearm in a drawer. It was unloaded, but the boys, being boys, looked and found the ammunition in another drawer and loaded the pistol, and fooling around with it, one boy shot and killed the other. Could this horrific tragedy have been prevented? Without a doubt. Does it require calls for outlawing firearms? No. Does it require laws mandating that firearms be stored in certain ways? Perhaps, but every household and situation is different. Does it require common sense? Absolutely! If a household has children or grandchildren who visit, then firearms should never be left unlocked and loaded, or stored with ammunition where it can be easily found by inquiring little minds and little hands. Be assured, most children do in fact know if there is a gun in the house and where it is, even if you think you have hidden it. Firearms should be locked or stored in locked gun safes or cabinets and not with ammunition, which should also be secured in a separate location. It should be noted that in many communities, the police often are more than willing to provide gun locks free of charge. In most cases storing firearms this way would present no problem to the gun owner. If, however, you feel a weapon is needed for protection that can also be taken care of easily and safely. There are numerous gun safes on the market that allow for obtaining your firearm quickly and still have it kept locked and secured. They come with electronic locks, some read fingerprints, and others are mechanical, but they all allow for ready and quick access to a firearm in the event of a perceived threat. 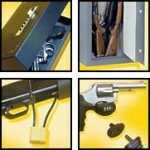 These safes are not inexpensive, they can and do cost several hundred dollars, and some are even more expensive. But do you really want to compare an expense of several hundred dollars with that of the injury or death of a child, not to mention the emotional trauma and legal expenses involved in the aftermath? Accidents do happen, but frankly speaking, almost all gun accidents can be avoided when it comes to accidental shootings. If you take the time to teach children and young people about gun safety, and if all firearms in a home are locked and secured, the risk factor is drastically reduced. It is not that difficult to prevent senseless injuries and deaths, if we just take the time.